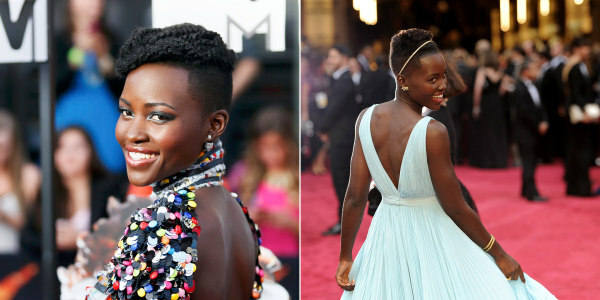 Lupita Nyong’o has announced that she’s writing a children’s book with an important message about being comfortable in your own skin. Titled Sulwe, which means “star” in Nyong’o’s native language of Luo, the story will follow a 5-year-old Kenyan girl who’s desperate to change her dark complexion but eventually finds self-acceptance with the help of her mother. These issues of complexion and self-image hit close to home for Nyong’o, who grew up with a lighter-skinned sister who was often called “brown and pretty” by people outside of their family. Nyong’o recalls that reading with her mother as a child had a major impact on her own journey toward self-acceptance, and hopes that by addressing the heavy themes of complexion and beauty in Sulwe that the story will have the same impact on others. Bright yellow, sky blue, rich red, shimmering gold — there's not a color that the fashionably adventurous Oscar-winning actress hasn't conquered.